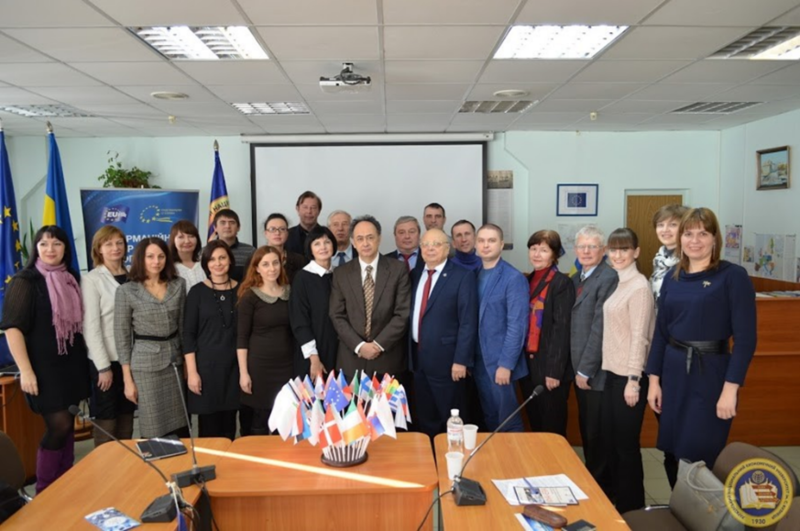 On 13 December 2016 EU Ambassador in Ukraine Mr. Hugues Mingarelli has visited to Kharkiv Region and S. Kuznets Kharkiv National University of Economics. 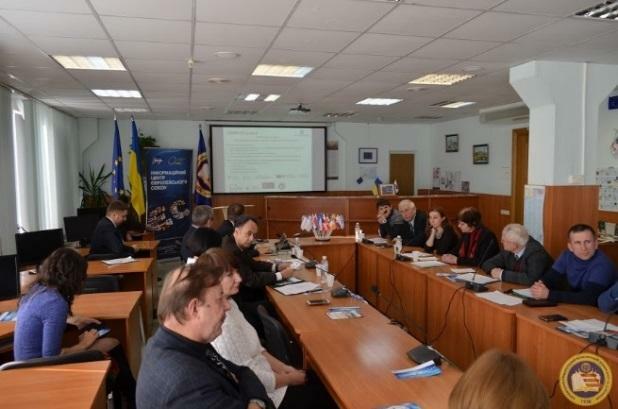 The rector of S. Kuznets KhNUE Doctor of Economics Professor Vladimir Ponomarenko told about projects supported by the EU and about activities of the EU Information Centre at the University, shared plans for projects and initiatives of the cooperation with European Universities and companies. The delegation attended the Start-up Center «First Capital», which was opened during the project Tempus SUCSID. During the meeting, double degree programs which are acting in S. Kuznets KhNUE and other Kharkiv Universities were presented by students and alumni of academic mobility Kharkiv Universities. The academic mobility programs’ participants described the experience of learning in the European partner Universities and development of obtained competencies in professional activities. The member of the Ukraine National Team of higher education reforms experts Professor Iryna Zolotaryova who was the moderator of the round table presented projects implemented by the program Erasmus + and Horizon 2020 in S. Kuznets KhNUE and also in other Universities and Research Institutions in Kharkiv. 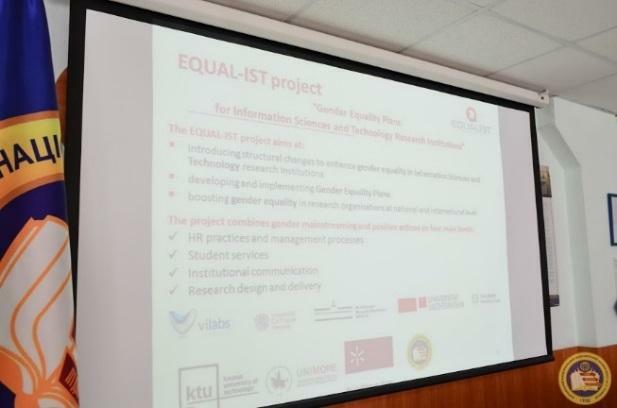 Among other projects the EQUAL-IST project was presented to EU Ambassador. The presentation focused on goals and objectives of the project and prospects of Gender Equality Plans implementation for Ukrainian universities. Mr. Hugues Mingarelli highly appreciated international activity S. Kuznets KhNUE and the Kharkiv region in general. This project has received funding from the European Union’s Horizon 2020 research and innovation programme under grant agreement No 710549.